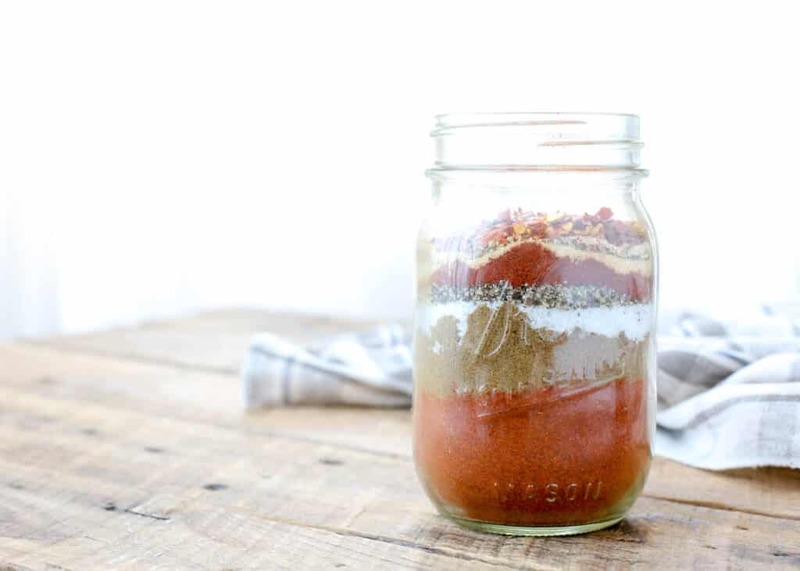 Homemade Taco Seasoning is easy to make and tastes so much better than store-bought. Loaded with so much flavor, taco seasoning gets used more than anything else in my spice cupboard. It is beyond simple to stir together this Mexican spice mix and it will save you time when you are cooking later. 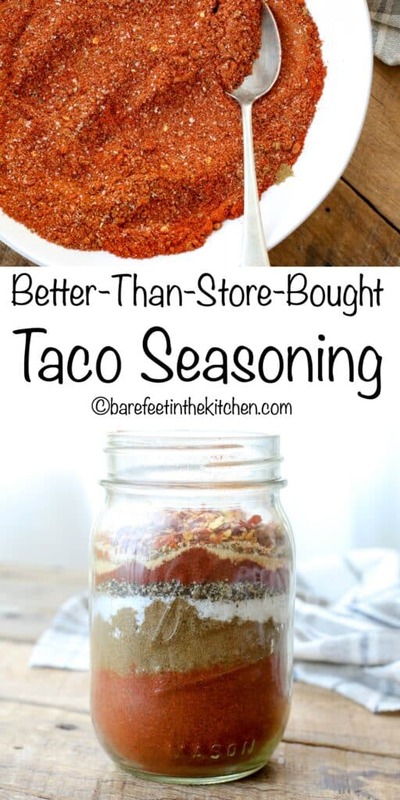 My family eats a lot of Mexican food and for years I have used taco seasoning regularly in countless recipes. About ten years ago, I decided to try making my own taco seasoning recipe and I’m so glad I did. I found a basic recipe for taco seasoning over on Allrecipes long ago and over the years, I’ve tweaked and adapted it to our tastes. It makes sense to prepare a double or triple batch of this seasoning mix and keep it on hand at all times. Just a bit spicier than standard taco mixes and completely adaptable to your individual tastes, these are some of my favorite spices in the kitchen. 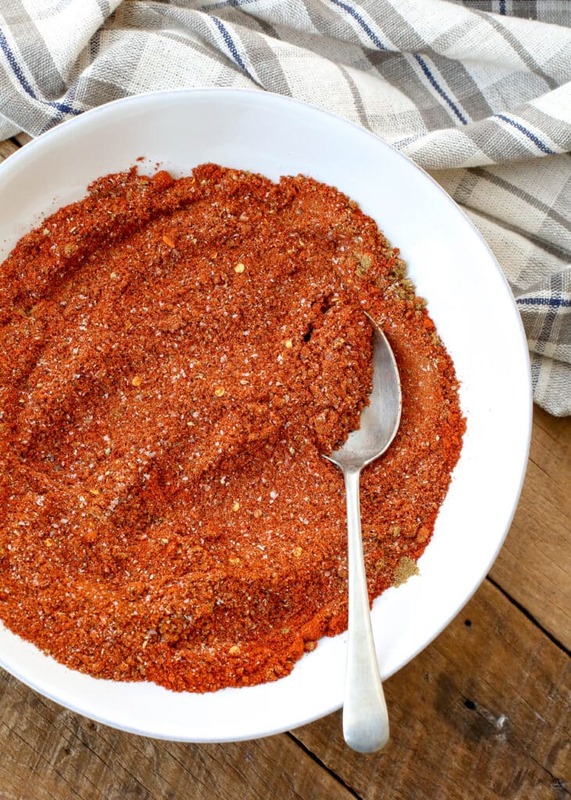 I use this Homemade Taco Seasoning at least 3-4 times a week and I keep it on hand at all times. My kids already know to stir a new batch together when it’s running low. This is probably the most used spice staple in my pantry. Just a spoonful will add an abundance of flavor to any meal. Homemade spice mixes always taste so much better than store-bought and they’re surprisingly easy to make too. If you haven’t tried it yet, you need to put Homemade Crazy Salt on your must-try list. This Homemade Italian Seasoning is another favorite that gets used constantly in my cooking. Jamaican Jerk Seasoning, Homemade Mild Curry Powder, and Harissa Dry Spice Mix are great ones to try as well. Many of our favorite recipes use this Taco Seasoning. The Best Taco Meat has been a hit with everyone who tries it. I keep a package of that taco meat cooked and ready to use in the freezer almost all the time. Slow Cooker Steak Fajitas are a dinner that almost cooks itself and these Black Bean Taco Nachos are a kid and adult favorite for lunches and for dinners. The Southwest Chicken Skillet is filled with plenty of vegetables and an abundance of flavor from these Mexican spices. Kitchen Tip: I use these jars to make this recipe. 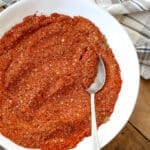 In a jar or small mixing bowl, combine chili powder, red pepper flakes, cayenne pepper, oregano, paprika, cumin, garlic powder, onion powder, kosher salt, and pepper. In a small bowl, stir together all of the spices. Store the seasoning mix in an airtight container. I keep mine in a glass mason jar in my spice cabinet. I hope you love it as much as we do, Melinda!